Half term is nearly here, next stop it will be….CCccc…..dare I say the ‘C’ yet, is it too early? Maybe a little so lets keep our focus to the October half term or as I have heard many call it the ‘Halloween Half Term’ due to there being SO many fangtastic spooky events happening throughout the whole county. I thought I would jump on here quickly and tell you about the spooktacular events that are happening, that are all child friendly and will not cost you the earth and hopefully I might see you at them too! Ok let’s get this party startled……. 1 – Halloween Half Term Fun! Funny, scary tractor rides, pumpkin carving, witch’s house tours, panto style ghost stories, spooky walkway plus all the usual fun on the farm! So much to do whatever the weather, play in our brand new indoor adventure play area, It’s a great value day out with lots of fun and laughter for the whole family!! Watch the video for a glimpse. Booking highly recommended! On Sunday 29th we will be holding our Halloween Spooktacular where you can meet Daisy the witch and take part in our spooky fancy dress competition! Follow the trail around our gardens to find the hidden pumpkins, once found copy the face on the paper provided. Find all the pumpkins to win a prize! But watch out there could be some spooky goings on too !! Join us for a jam-packed week of Halloween Activities! £1.50 from the Visitor Centre. Available in the Visitor Centre from £1. Available in the Visitor Centre during 26th – 29th October, from £2.50. Owls To behold are back on the 23rd, 25th & 27th October in the Visitor Centre. Jeepers Creepers from (Owls To behold) and Adele’s Reptiles & Birds will be joining us on 24th, 26th, 29th & 30th October. Make your own Halloween paper lantern before being led on a spooky evening walk around the Visitor Centre Lake to find Scarecrows! Saturday 28th October, Kids Play will be hosting KP’s house of horrors annual Halloween Party. Ticket only event, tickets are available onlinewww.wherekidsplay.co.uk or at reception. Ticket prices are £12.95 for 1 child and 1 adult, additional adult tickets are available at a further £3 per ticket. Only those who have a ticket will be granted entry on the night. Babies under 12 months go free. Come and ride the Ghost Train , booking is not required for this event! Join us for a spooktacular day of fun with scary craft activities and a haunted trail around the museum. Try the Witches’ Brew at the refreshment stall if you dare. Come dressed in your scariest costume! It’s that time of the year again! Children (and adults too if they wish) can come in fancy dress and enjoy a great time at the Hub’s Halloween Spooktacular! At each party there will be a special Halloween disco, prizes awarded for the best fancy dress costumes and the whole Hub will be available for children to have fun in. Race go-karts agains Dracula, battle against zombies, minions, superheroes and perhaps even Frankensteins’ monster in our laser tag arena, or just relax in our sensory room – the choice is yours. 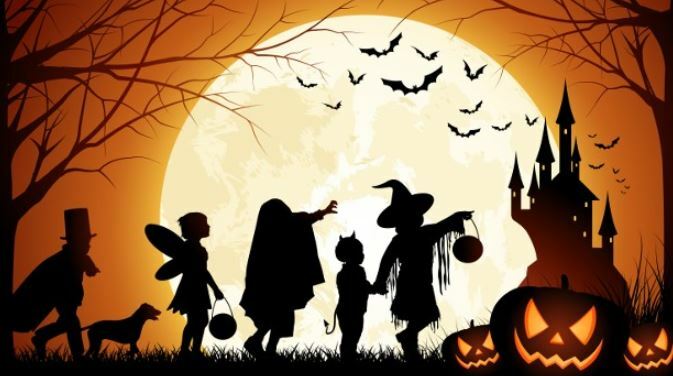 The theme is spooky – not scary – so please remember it’s a family event when choosing fancy dress costumes.The whole evening will be lots of fun for children and adults alike, we’re really excited about it! WOW what a unBOOlievable selection of events! I hope you all have a gourd time on Halloween and I’ll see you soon! Eat, drink, & be scary.